Paroma Dasgupta, who has sung for films like "OK Jaanu" and "Gabbar is Back", has lent her voice to a project supported by actress-producer Anushka Sharma. MUMBAI: Singer Paroma Dasgupta, who has sung for films like "OK Jaanu" and "Gabbar is Back", has lent her voice to a project supported by actress-producer Anushka Sharma. Dasgupta sang the song of the 'Darwaza Band' campaign, featuring Anushka. The campaign is part of Prime Minister Narendra Modi's project the Swachh Bharat Mission. Dasgupta told IANS: "When the composer Hanif Shaikh called me to sing the pre-shoot track, I was thrilled to know that Anushka Sharma was the brand ambassador as she's one of my favourite actors in Bollywood." "The 'Darwaza Band' campaign is the need of the hour urging people to defecate behind closed doors. I felt strongly for this cause and it was great to have Anushka supporting this initiative too." 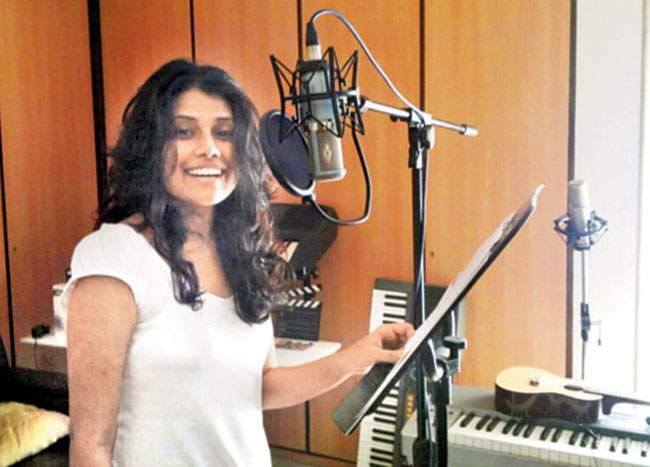 In the advertising space, the singer has been part of ad jingles of Nestle, Bajaj, Frooti and Cinthol, to name a few.